Do you need bespoke music for your film, project or advertising campaign? 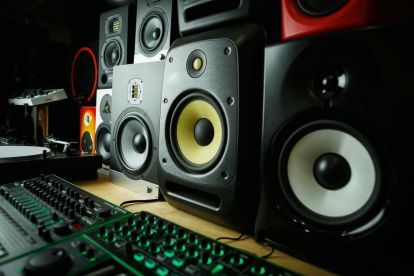 Based in London, the professionals at Caveman Studio, relish the challenge of adapting our diverse skill set in music production for a variety of creative and commercial endeavours. 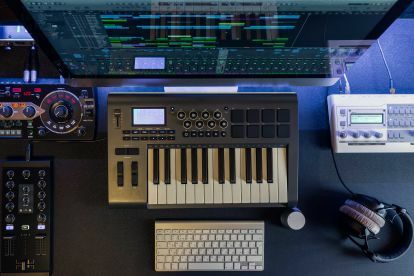 Our crack team of experienced musicians, producers, composers and engineers have the musical skills and prowess to tackle any sort of creative brief, delivering high quality music production services at competitive prices. Please get in touch to discuss your project by dialing 07944910770. 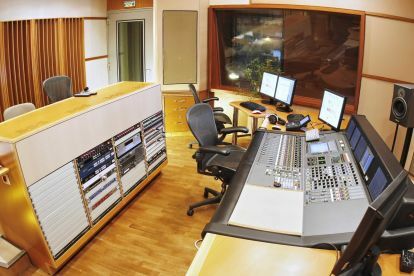 At our music production studios we utilise a full range of high-end audio composition and editing equipment. Our microphones and wiring are industry-standard, ensuring that we have the lowest possible noise floor, and we use top of the range mixing equipment as well as tape and DAW solutions, allowing us to deliver both analogue and digital solutions for every aspect of the project to client request and specification. For a breakdown of our technical specifications, please see our website or get in touch. Our music production pros are able to bring their diverse backgrounds together to compose, produce and polish original pieces from scratch. Their experience in the music industry spans the whole spectrum of creative production, and they are able to deliver fresh, bespoke musical content completely tailored to your film or project. No matter if you're looking for dark and brooding sound design to tie a scene together or a memorable jingle, we can help you out. Please note that Caveman Studio may not be able to honour booking requests made.